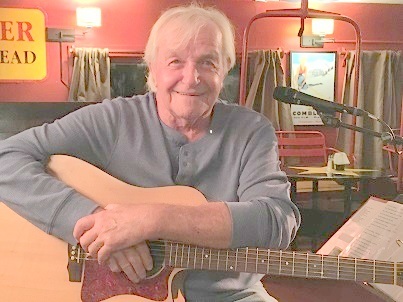 My musical career spans more than 50 years; performing in the Folk Music venues of Boston, New York City and Montreal during the Folk Revival of 1960’s, and playing in the ski resorts and honky tonks of Northern New England from the 1970’s to the 1990’s. In 1973, I produced and released my first album called “Sunday Mornin’ Hayride”, on my own label called “Saloon Records”. That album has been re-released by Riverman Records and Yoga Records and was voted in the top ten retro re-issues for 2009 by the Acid Archives. As was predicted, the album has become a “classic in the folk/blues idiom”. In 1974, I took part in forming Them Fargo Brothers which became New England’s Premier Country Rock Band. We toured extensively throughout the Northeast and I toured with the band until 1990. Pictured below is a group picture taken at our last band reunion in 2011. I am currently writing and recording in my studio and marketing my music through my web site. My music is on Spotify, Standing O Project, iTunes and other streaming sites, and my music is available for licensing and is included in several licensing libraries such as Songtradr, Hummingbird Music and Audiosparx. And I perform live streaming on line mostly on Street Jelly and Facebook Live.